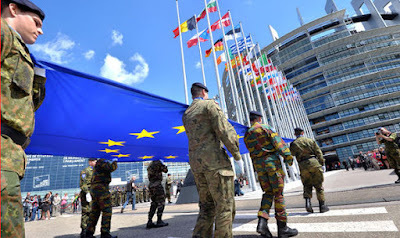 EU Prophecy News: EU Parliament Insists on EU Military Union "without delay"
EU Parliament Insists on EU Military Union "without delay"
This post represents a recent development in end time prophecy as it relates to the EU. This article will make more sense if you check out the overview page as well. Calls for more "global governance"
You can check out the much shorter press release here. Why does this matter for prophecy? 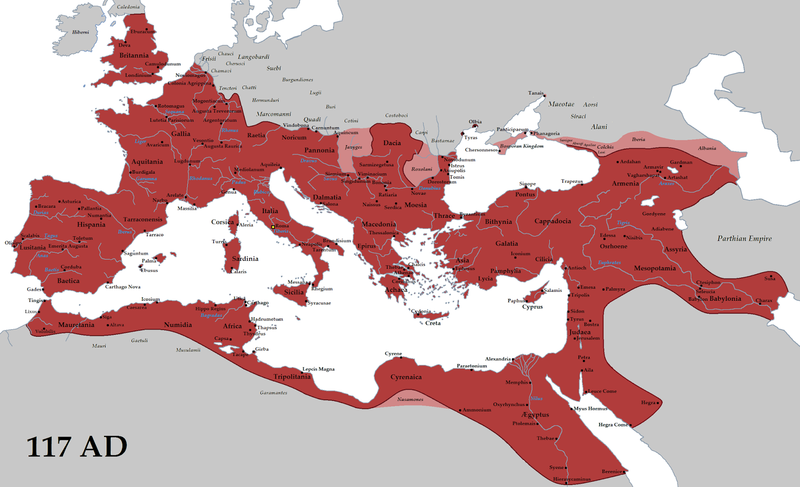 As the revived Roman Empire, the European Union needs to have the military ability to wage war in the end times. It also needs to have the capability and authority to be an effective guarantor of Israel's military security during the Antichrist's 7 year treaty (Daniel 9:27 cf. Isaiah 28:15-19; Zechariah 11:17). Finally, the ten kings of the beast must have a common purpose, and finally give their "kingdom" to the beast. This must especially be in the domain of the military, since this handing over of sovereignty takes place in the context of the violent destruction of the end time city named "Babylon." Though the European Union has some ability to act militarily through consensus, the member nations as of yet have not fully handed over their sovereignty ("kingdom") to the EU in that regard. The 2009 Treaty of Lisbon allows for a group of EU member countries to voluntarily and permanently deepen their cooperation on military matters (PESCO). This is kind of like how the Eurozone works, where only some countries are on the Euro, while others who aren't ready don't have to come along. The Treaty is vague about what PESCO would mean. However, it would have membership requirements, allowing anyone who meets said requirements (such as defense spending) to join. The Parliament wants to use PESCO as the basis for a truly common defense for the EU. What is so unique about this Parliament resolution is it proposes that PESCO be an "institution" financed by the EU budget. So PESCO is not only just a group of countries cooperating together, but an organization with its own administrative costs as well. This is the most "explosive" aspect of the resolution, according to one parliamentarian in the debate. Another stated it has the potential to create another "bureaucratic monster." The resolution proposes putting EU battlegroups, Eurocorps, a military headquarters, all under the PESCO umbrella. PESCO and the European Defence Agency (the latter of which already exists), would be "sui generis" institutions, financed by a section in the EU budget. This means that on an EU org chart, they would be off to the side, one-of-a-kind organizations, doing their own thing. This is much like the EU's foreign office (EEAS). Despite repeated reassurances in the resolution to the contrary, some fear that these two organizations would potentially lack oversight from Parliament. The proposal calls for a new "European Integrated Force" that can be deployed to implement the EU's common policy on defense. Furthermore, it calls for existing military entities, such as the EU Battle groups, Eurocorps and future military headquarters, to be placed under PESCO. The beast needs power to wage war, and this is a step in that direction. 3) Calls for more "global governance." This is not new, but it remains particularly ominous in light of the other proposals above. The European Parliament would like to improve global governance by reforming the UN Security Council, making it more decisive and less focused on only military aspects. For those of us familiar with Herb Peters book, Recommendation 666, this resolution has fascinating implications. Recommendation 666 "recommended" that Javier Solana be given the ability to preside over the Political and Security Committee in an emergency. This recommendation eventually turned into council decision 2001/78/CFSP, which ratified those recommendations. The implications of turning PESCO into an organization are profound. Javier Solana (among others) proposed in his 2015 Report and his 2016 research study that PESCO be the main instrument by which the EU forms a military union. Ever since he used this term, it has been widely used in discussions of EU military integration. The Parliament resolution, mentioned above, insists on the creation of a European Defence Union "without delay." A reading of the proposal shows the tremendous influence Javier Solana has had on the European Parliament in these respects, even as far as very specific proposals are concerned. As I argue elsewhere, Javier Solana is the best Antichrist candidate in the history of the entire world. This is also a step towards the infamous 7-year covenant the Antichrist makes with Israel (and perhaps many others) guaranteeing their military security. The new "European Defence Fund" (666) will be established for the EU's next 7-year budget. 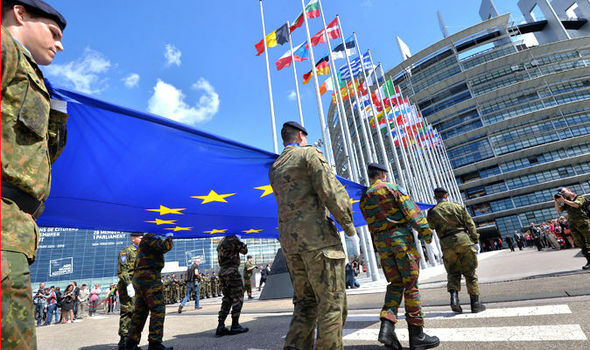 Another European Parliament resolution backing Solana's plan calls for a European Defence Union to be established along the next 7 year period. One of the reasons these politicians cite the need for an EU military union is to "stabilize" the Mediterranean and act as a "security provider" in it's wider neighborhood. Here, the ten kings unanimously transfer their sovereignty to the Antichrist on a voluntary basis, because they have a "common purpose." This is in context of Babylon's military destruction, so this transfer of sovereignty must at least include the domain of the military. This is what makes PESCO so fascinating. It would be a major transfer of sovereignty in the area of defense. Furthermore, with PESCO, military decisions are made unanimously. In addition, participation in PESCO is completely voluntary, with no nation forced to participate. Finally, the EU wants to use PESCO to form its "common policy" (read: "common purpose") in defense. PESCO is rife with prophetic implications. PESCO has been an available option within the EU's existing treaty for quite some time, but has not been utilized yet. Recall, Solana began the push for a European Defence Union back in March 2015, suggesting that PESCO be the instrument by which it is accomplished. Since both Solana and PESCO appear to be so prophetically significant, this comes as no surprise that Solana would strongly endorse PESCO as the means for EU to have a common defense. 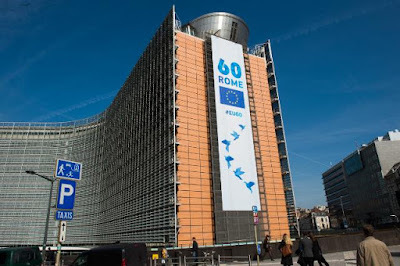 However, the European Parliament resolution has called for PESCO to not just be a mechanism, but an "institution" as well, like the EU's foreign office. This institution will kind of hover off in no-man's-land on an EU org chart, without much parliamentary oversight. Yet, if it is an organization, it does need oversight from someone, even if that someone is not the European Parliament. If you've gotten this far in the blog post, I commend your endurance with all of the euro-jargon, which I have tried (perhaps in vain) to simplify to some degree. Nevertheless, the time has come to speculate on a future role for Solana, if he is indeed the Antichrist. That being the case, we have to burrow down into the institutional nitty-gritty of what the Parliament has proposed, what Solana has proposed, what other's propose, etc. Since Solana is so significant, wouldn't it be nice if he provided us with an org chart on how he thinks EU defense structures ought to work? Thankfully, he already has. Below, you will see a screenshot of how Solana proposes the EU's common defense policy should be set up. This is from page 66 of the giant research paper he wrote for the European Parliament on the topic. Notice how the legend states that both PESCO and the EU operational headquarters are "proposed new institutions." So here, Parliament is actually following Solana's recommendations when they propose that PESCO be not just a mechanism, but a one-of-a-kind "institution." Also, note the hierarchical relationships on the org chart. The High Representative is over several institutions, but the PESCO member states organization is above the High Representative and the civilian/military headquarters. This arrangement would seem to confirm suspicions that some MEP's have, in that the PESCO might lack accountability. A New Chair for Solana? In his dealings with the EU, Solana is, for the most part, very defense-focused. His former job of High Representative has since been expanded under the Treaty of Lisbon. Even despite Solana's high energy level and frequent travels, the High Representative position seems very physically demanding for anyone in their mid-70's. One basically functions as the Foreign Minister of the EU (Secretary of State in U.S. terms), but without the title. Furthermore, it covers a great many areas, only one of which is defense. Some view the role as over-extended, proposing that the defense responsibilities be allocated elsewhere to ease the burden. All this to say that the EU High Representative position is a very demanding job. It is possible Solana would re-take the role. However, I think it is much more likely that a Solana comeback would not be based on EU "musical chairs" but on creating an entirely new chair. This would likely come through leadership of PESCO. Nevertheless, it is clear that PESCO will need some kind of leadership since it is going to be an institution. What is less clear is what shape that leadership would take. In Solana's 2015 pamphlet on European Defence Union, he proposes that the PESCO nations form a "Defence Group" much like there is a "Eurogroup" for the Eurozone countries. The whole report rotates around the theme that defense at the EU level should be structured in the same way the Eurozone is. It also proposes a co-chair person for the Defence Group, along with the EU High Representative. The Eurogroup is an informal decision making body, containing the finance ministers of each Eurozone member state. While all 28 meet at the economic and financial affairs council, only the Eurozone ministers meet in the Eurogroup, where major decisions are made. The Eurogroup also has an elected President. In the same way, Solana and European Parliament think that the EU High Representative should chair a Council of Defence ministers of all 28 states. This is similar to how all 28 sit on the economic and financial affairs council. Nevertheless, under the PESCO institution, only the participating members would meet. This would most likely take place through the EDA Steering Board, either via the High Representative as chair, or as Solana proposed, through a co-chair with the High Representative. In this way, PESCO would be similar to a "eurogroup for defence." How this actually will play out (if at all), remains to be seen. However, it would not be surprising if PESCO chose a "Defence Group" President, just like the Eurogroup President is chosen. One major European Defence Union advocate has pressed for an EU Defence Commissioner, to ease the burden on the High Representative. Another MEP in the debate stated the need for a "European Defense Minister." Interestingly, some in the past have pushed for a "Eurozone Finance Minister" over the whole eurozone, who could veto member states budgets. Imagine an EU with an European Defense Minister and a Eurozone Finance Minister. In this speculative scenario, we would have an eerie situation in which the EU has two pillars of power: one military and one monetary. This sounds a lot like Revelation 13, with the beast (who has the power to wage war) and the false prophet (who controls the money). Next Saturday, EU leaders are coming together for the 60th anniversary of the Treaty of Rome. That treaty founded the European Economic Community, which eventually formed the basis of what the EU is today. The Treaty of Rome is of prophetic significance (see the overview page, year 1957). At the Rome Summit on March 25th, EU leaders are expected to make a declaration on the future of the European Union. EU Commission President Juncker has prepared a document with 5 choices that the EU can take for its future. Most of the influential countries favor option #3, which is a multi-speed Europe. This again is a European Union based on voluntary consensus, reminiscent of Revelation 17:17. Defence cooperation is a topic that may be discussed at the Rome summit. In fact, the European Parliament resolution that this blog post is discussing was presented in anticipation of that summit. So it is possible they could come out with another prophetically significant declaration at the Rome Summit. Nevertheless, it's wise not to get one's hopes up too high about summits, since the Council struggles to form any meaningful consensus. Nevertheless, they are expected to revisit the issue of defense on June 9, 2017, in Prague. I don't know what will happen Saturday, or the coming months for that matter. I am learning that God is not surprised by any twists or turns in the prophetic road. We do not have to "fix" anything for him. (as you all have wisely learned long before I have). The future is inevitable. What God has ordained (or not ordained) cannot be stopped. It is not a matter of "if" but "when. Peace be to you all. Come Lord Jesus! I would like to comment on how all of this relates to Recommendation 666, which features very prominently in the prophetic timeline on this website, and originally discovered by author Herbert L. Peters. In Solana's big research paper for Parliament, he mentions EU defense history and the events surrounding Recommendation 666. He puts it quite explicitly, stating that "In other words, the EU took over the WEU functions." This is why Recommendation 666 is so important, in that the ten kings gave their "power and authority" to the EU beast, under Solana's leadership. This proposal was eventually implemented with Council Decision 2001/78/CFSP, a key portion of which European Parliament recently suggests be changed. But how, exactly, did the 10 transfer their authority to Solana? A new committee was created, called the "Political and Security Committee" (PSC). The Western European Union had the ability to perform various military operations. Nevertheless, they transferred this function to the European Union, under the newly created PSC. The same 10 delegates that sat on the WEU Permanent Council sat on the newly founded PSC, in addition to the other member states. As High Representative, Solana was given the ability to chair the PSC in an emergency (while in non-emergencies, a deputy of his led the PSC). The PSC is supposed to exert the "political control and strategic direction" of EU civilian or military operations. This seems to be the precise area that Parliament (and perhaps Solana) want to curtail its power. The EU Parliament wants to amend the document creating the PSC, and desires to interpret its functions more narrowly. When considering his two org charts, it seems Solana may agree with this move. Notice how the PSC is mentioned in this org chart, but is not mentioned in the other. Although this org chart is more detailed than the proposed org chart (see above), it could be a hint that Solana too sees a diminished role for the PSC in the future. It would seem he would place the decision-making authority in the hands of the EU headquarters and PESCO. All this to say that Recommendation 666 hasn't lost its significance in prophecy. Recommendation 666 and the decision setting up the PSC as a result, were the means by which the ten WEU nations handed over their authority to the EU beast (Rev. 17:12-13). The ten eventually dissolved into the EU. However, as of yet these ten have not given their "kingdom" to the beast (Rev 17:17), as still defense remains largely intergovernmental. This second half of the prophecy may relate to PESCO, while the first relates to the transfer of the WEU functions to the EU, which happened to take place through the PSC. personally i think solana is highly regarded and has many who would do the grunt work for him if he got head position again. he could run things from his armchair he has so many of them. i agree with you about pesco. i think it will continue to morph until that top spot is established and i still think he is able to take a command. especially if empowered from below. we'll see. thanks for the update to the blog with your insights as well as current happenings in this arena. So sorry it has taken me so long to reply. You are right, if he were to delegate he could take the high representative seat once again, providing the EEAS is functional independent of his direct oversight. It is indeed closing in every day. Thanks for your kind words and prayers. Blessings to you Andre'. Thank you for watching and God bless you too!! Thanks for watching with me! Lord n savior Jesus Christ; Yeshua! btw if anyone is interested in the rev. 12 thing, Alan Horvath has great Hebrew word studies on the subject on you tube video and probably at his site as well....Shalom and thank you both,...tony in vt. Thanks for you kind words Tony and for the video recommendation! May God give us wisdom into the times we are living in and the willpower to act on that wisdom. Thank you for watching! and i know you continue to watch with us tony and i'm blessed to see your name here! just like the Lord Jesus has told us to do. i'm glad for this site too, because it stays with Scripture to do all comparisons from the Bible's standpoint. exactly what those who love His appearing are to do! david's latest article is just more of the same. very good insights and information. let's keep praying for the Lord's Wisdom for him and for ourselves, as the prophecies continue to unfold. if ever has been a time to pray, it is now. I appreciate your prayers and kind words! May God give us insight into the paths we take and what we follow in regards to prophecy. Praise to him! Great to hear from you James! Welcome to the site! I have since posted more articles on further developments in this general area. However, which parts interested you most? Which parts would you like to hear more about?